It probably won't surprise anyone to learn that my own prediction is - never. 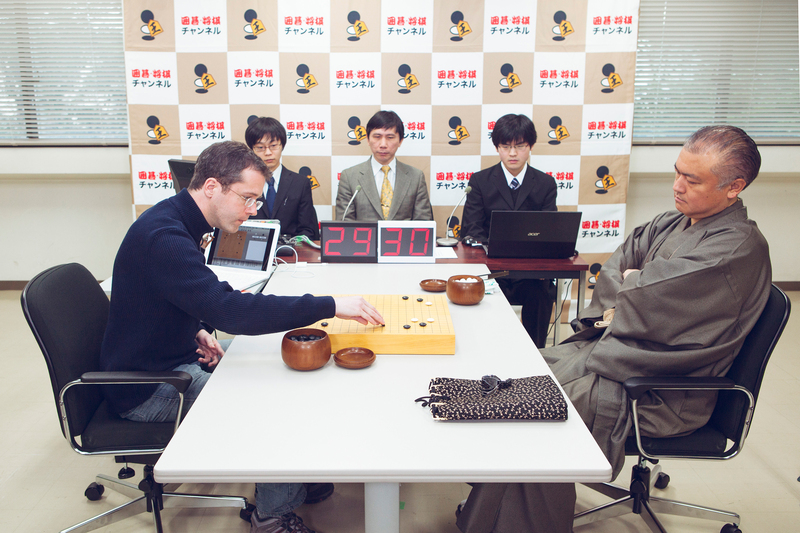 Has anyone tried deep neural networks + reinforcement learning for playing Go? Decapitation strategy gives rise to Chess. Containment strategy gives rise to Go. However, on a spherical surface, active containment of other strong countries is equivalent to itself being contained. It is interesting that Russia might be able to exert containment in the third direction by withdrawing support to the Space Station and maintenance of the GPS satellites. Someone should invent a 3D spherical Go game. I'm sure people have tried lots of buzzwords and will continue to do so. I'm referring to a specific algorithm that people have applied to other games. It's not just a combination of buzzwords. This approach would not achieve state-of-the-art results in playing Go, but I'm interested in seeing what kinds of strategies it would develop and where it would fail. Computers made massive progress in the last decade. They used to be absolutely terrible, now most amateurs can't hope to beat them. I think 10 more years should do the trick, but it's hard to predict since the budget allocated to Go AI research is (understanbly) very small.